Amir is a sweet 13-year-old seventh grader. He studies hard and smiles all the time. He joined Anjoman e Yaran e Danesh va Mehr (KCIS’s sister organization in Iran) 3 years ago. When we first met Amir, his buck teeth got our attention. It wasn’t just about his appearance, he actually had problems eating too. He was not able to chew his food properly, which had led to weight gain and other health issues. Amir had become very depressed as his jaw and teeth had become the subject of cruel ridicule and bullying at school; but his family couldn’t afford to fix his teeth. 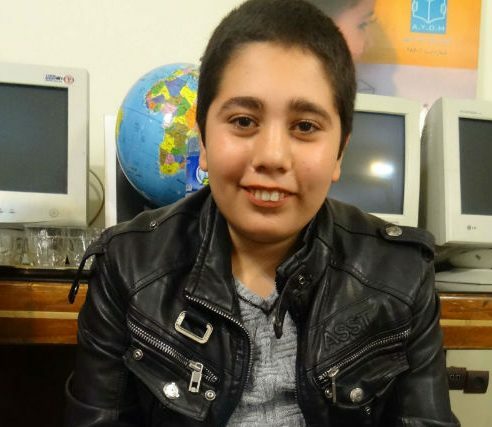 AYDM arranged for Amir to visit an orthodontist, and so began his course of treatment. Today, Amir has a beautiful smile, can chew properly, and is no longer ridiculed and bullied at school. He is focused on his studies and doing great.